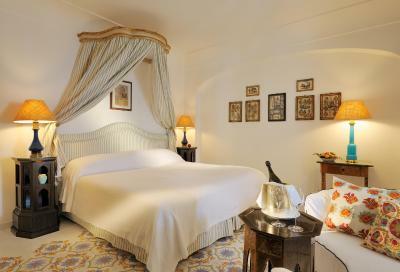 Lock in a great price for Le Sirenuse – rated 9.6 by recent guests! This is the best hotel I've ever stayed in. They take quality and customer service seriously. Not only is the property one of the most immaculate establishments to which I've been privy, the employees are as good as gold, and go the extra mile to ensure satisfaction. I cannot say enough about this lovely place. It is perfect. 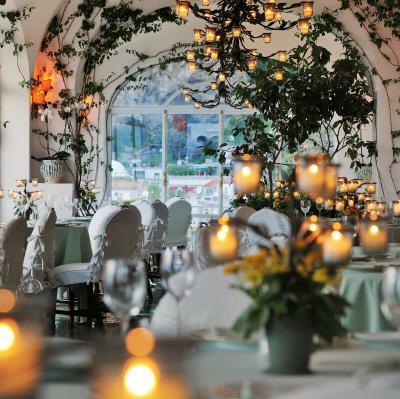 Staff was impeccable, views to die for, and just overall great service. The front desk staff no only checked you in and out, they are more like concierage services. Plus they are really good at helping you. 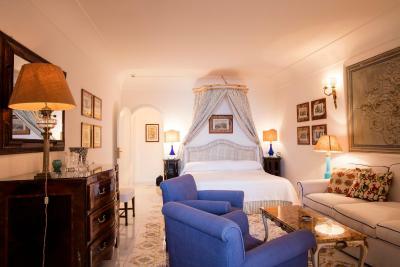 Really beautiful room, extremely comfortable bed, gorgeous view, amazing bathroom, outstanding service. 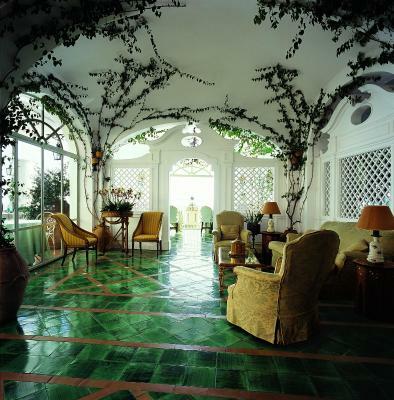 Absolutely dreamy and wonderful stay ! 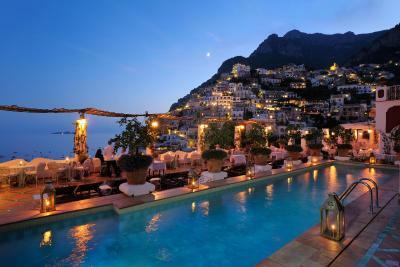 True to what Positano represents. 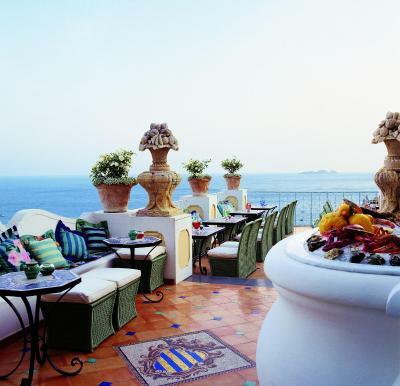 The restaurants are incredible, the views breathtaking, the service impeccable. Truly MAGICAL ! We went on our honeymoon and it could not have been more perfect!! 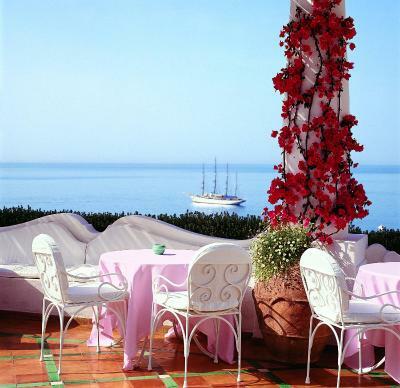 The view is stunning, the rooms are beautiful, the food is great, and the staff was incredible. We had the best time and can't wait to go back! 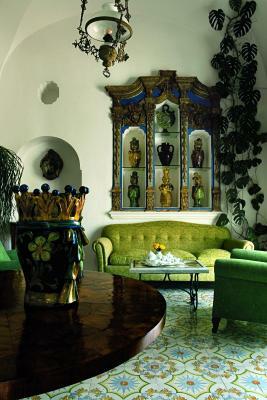 We had a magical stay at Le Sirenuse. 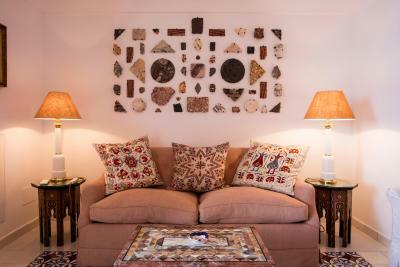 The entire property, staff were very welcoming, and made us feel part of the family. This is definitely one of the best hotels in the world. We were very sad to leave. We can't wait to go back in the future! Grazie! True five star experience. The property, the rooms, and the views are stunning. The breakfast was delicious. They have free activities for guests like a champagne sunset cruise. 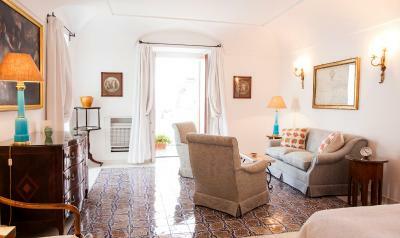 Le Sirenuse This rating is a reflection of how the property compares to the industry standard when it comes to price, facilities and services available. It's based on a self-evaluation by the property. Use this rating to help choose your stay! 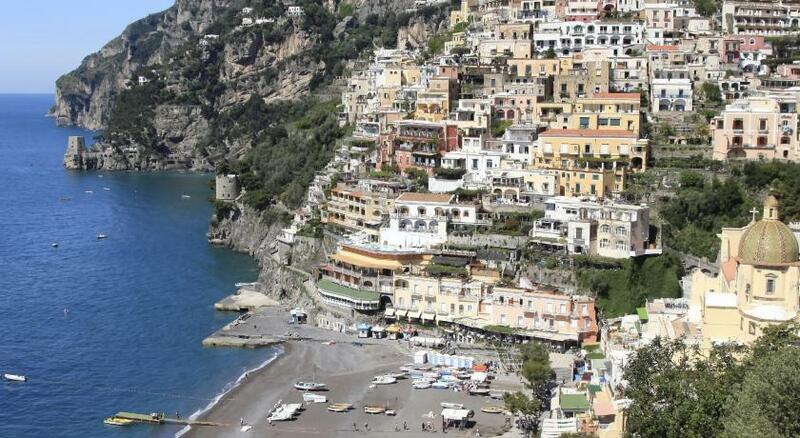 Centrally located in Positano, Le Sirenuse is just 650 feet from the coast and its beautiful beaches. 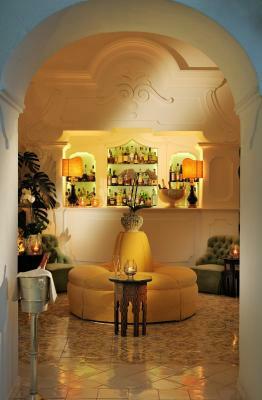 It features an oyster bar, a Michelin-starred restaurant, and elegant rooms with a private balcony. 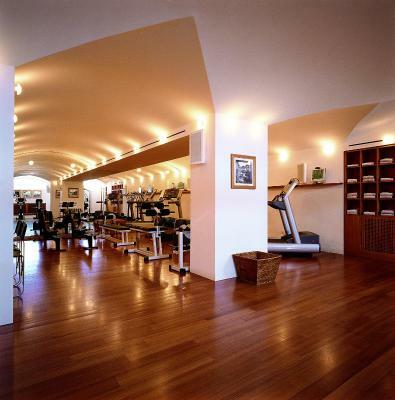 There are also a free swimming pool, hammam, and fitness center. 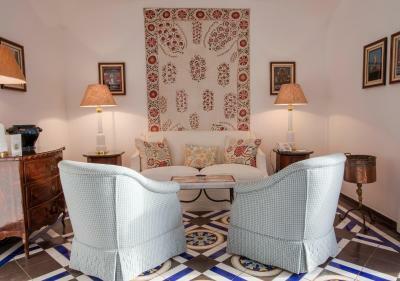 The spacious and air-conditioned rooms have a white-themed décor and full views of the Mediterranean Sea. Each offers a satellite flat-screen TV with Blu-ray player, an iPod dock, and a fully equipped private bathroom with a large spa bath and soft slippers. At the Sirenuse you can unwind at the oyster bar, where you will find a variety of oysters that you can enjoy together with champagne. 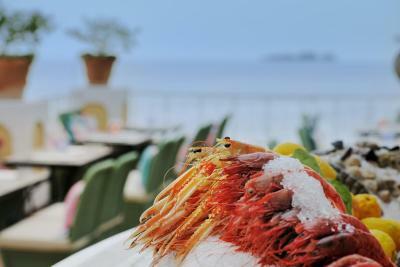 The Michelin-starred restaurant has a spacious terrace overlooking the sea. 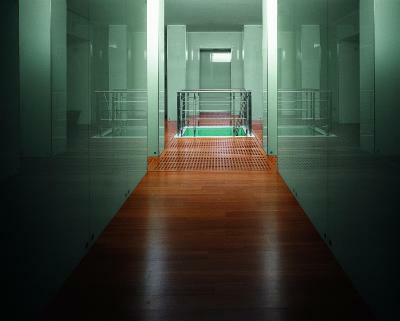 The hotel’s wellness center is complete with a sauna, hammam, and massages are also available. 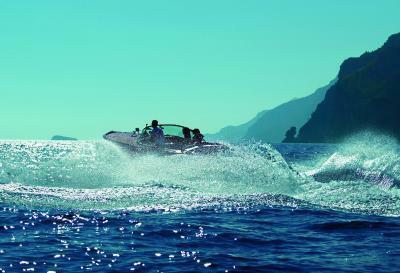 The property can arrange boat rental on request, from May until September. Napoli Capodichino Airport and Train Station are approximately 37 mi away. 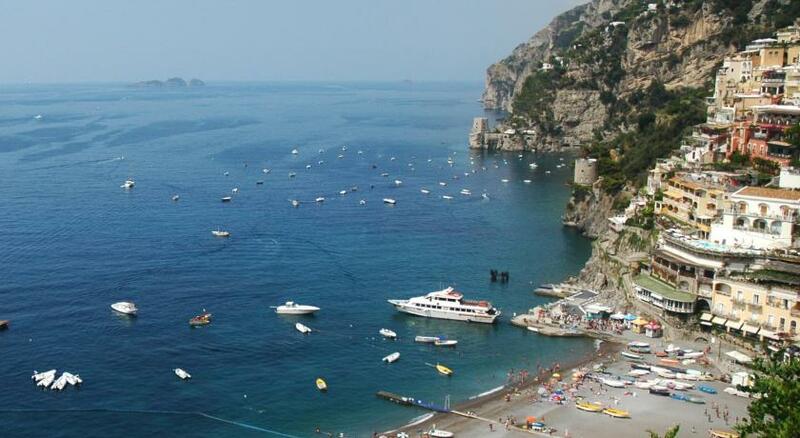 Sorrento is 9.9 mi from the property, and you can reach Amalfi in 40 minutes by car. 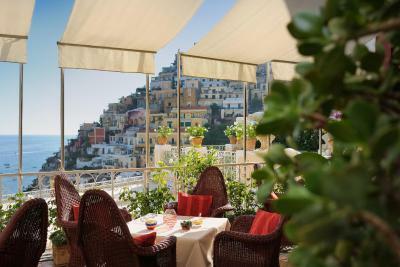 This is our guests' favorite part of Positano, according to independent reviews. 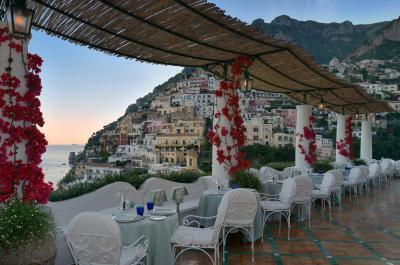 This property also has one of the top-rated locations in Positano! Guests are happier about it compared to other properties in the area. 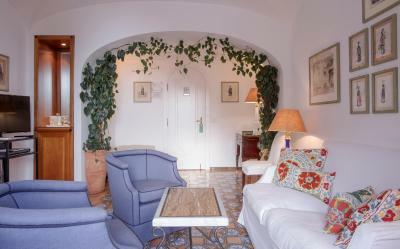 When would you like to stay at Le Sirenuse? 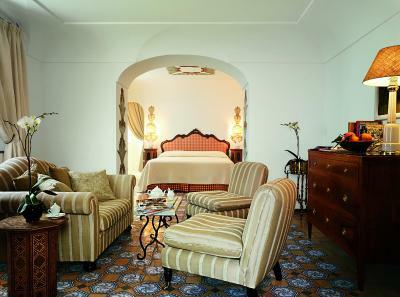 Elegant and spacious, this air-conditioned room is set on the 2nd, 4th, 6th or 7th floor. 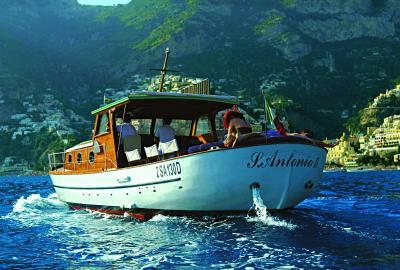 It offers a balcony with sea views, free Wi-Fi, and satellite flat-screen TV, plus a minibar and iPod dock. The private bathroom includes a spa tub, bathrobes and slippers. 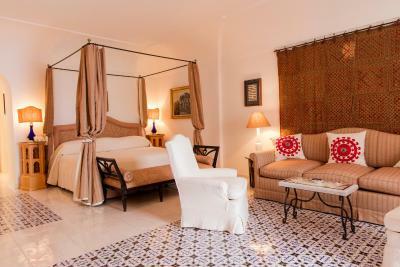 This twin/double room features a balcony, air conditioning and spa bath. 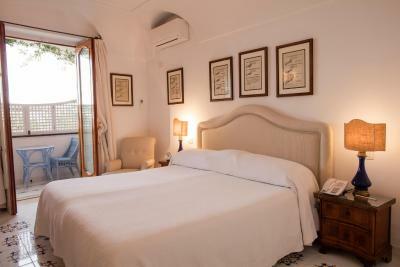 This twin/double room features a balcony, spa bath and air conditioning. 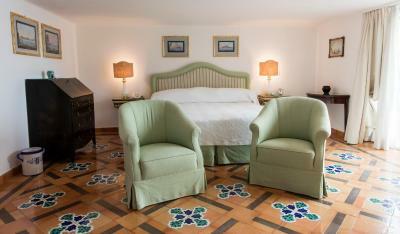 This twin/double room features a balcony, tile/marble floor and iPod dock. This suite features a balcony, DVD player and iPod dock. 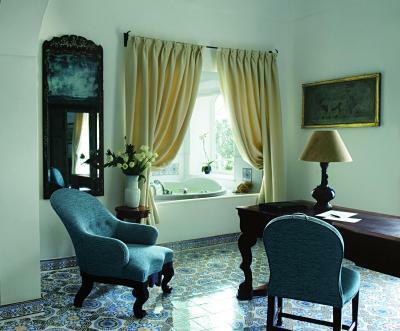 This suite has a balcony, spa bath and tile/marble floor. - vegan meals prepared by a Michelin-starred chef. 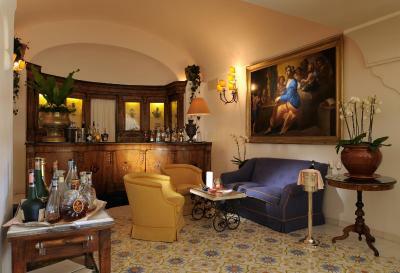 - all transfers, including pick-up service from Naples train station or airport. 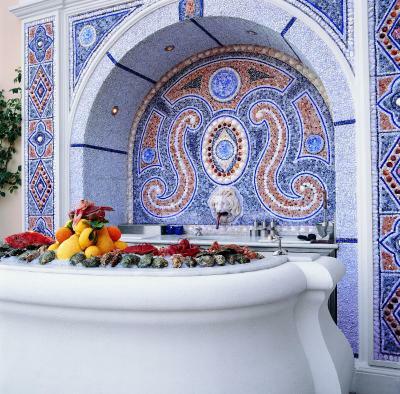 During your stay, Le Sirenuse’s restaurant, bar and room service will only provide food and beverages that meet the retreat’s nutritional goals. House Rules Le Sirenuse takes special requests – add in the next step! ATM card Le Sirenuse accepts these cards and reserves the right to temporarily hold an amount prior to arrival. Le Sirenuse accepts these cards and reserves the right to temporarily hold an amount prior to arrival. Please note that smoking is allowed throughout the property. In order to have a nonsmoking room, please contact the property in advance. Please note that massages are available on request. 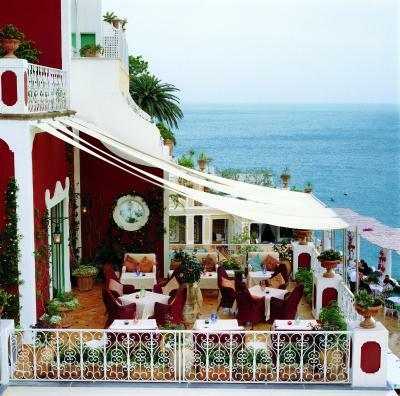 Food was not value for money but the restaurant atmosphere and views were amazing! This hotel experience was perfect. I loved every single thing about it. They went far and away beyond expectations in making my birthday special. From a surprise bottle of prosecco on arrival, a surprise cake for tea and pastries after supper. Incredible. If their is a negative, and I'm reaching here, one could say the layout to getting around is slightly confusing. finding the gym/spa was a little difficult. A little noisy, but earplugs were provided with turndown. The staff is friendly and approachable, and the service is unparalleled. 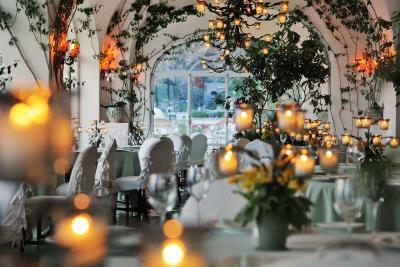 The restaurant is terrific, with excellent food and a romantic setting. 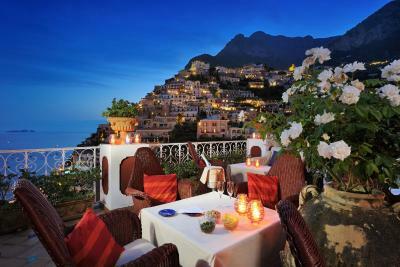 The views of the Bay of Salerno are beautiful.